What's For Lunch Honey? : A Bunch of Stuff! You know when many little things seem to pile up into one large chaotic pile and then you feel completely overwhelmed? Happen to you? Even though I consider myself to be a rather organized person I do have a few of these "pile ups!" Little heaps of to dos, that I pile up to be done on another day. Then when I finally decide to tackle these to dos, I am almost always surprised that the pile is so huge! Well the time has come for me to tackle my Blog "pile-up". It's been nagging at me for ages. So, in a short series of two installments I share with you my first session of "A Bunch of Stuff!" This one tackles lovely gifts from gorgeous Blogger friends, my 15 minutes of fame and a few awards. My 15 minutes of fame came from an article published in the New Yorker magazine "The Indian American". Mandira contacted me in December 2006 and asked if she could interview me for the magazine. I was thrilled to bits and agreed. In the same issue (January 2007) another lovely blogger friend of mine was also presented. 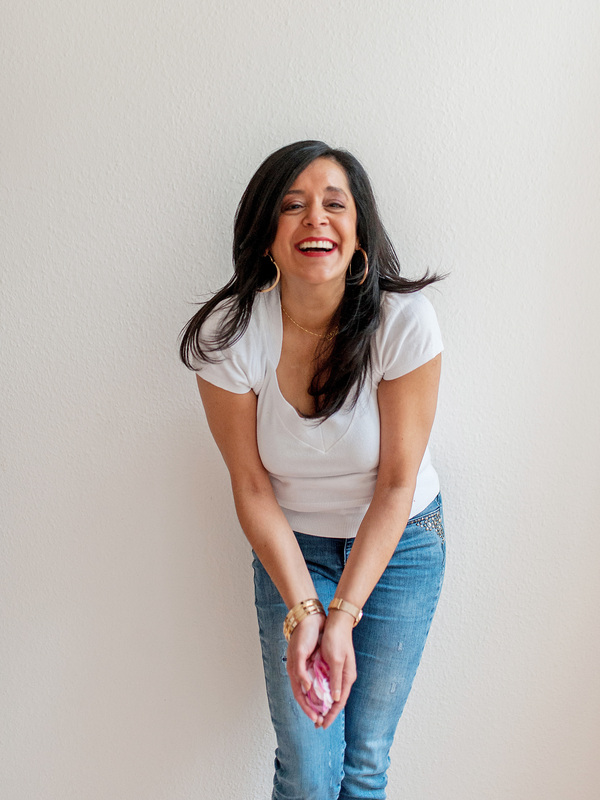 I was very honored to have shared a place with Sandeepa in the issue. 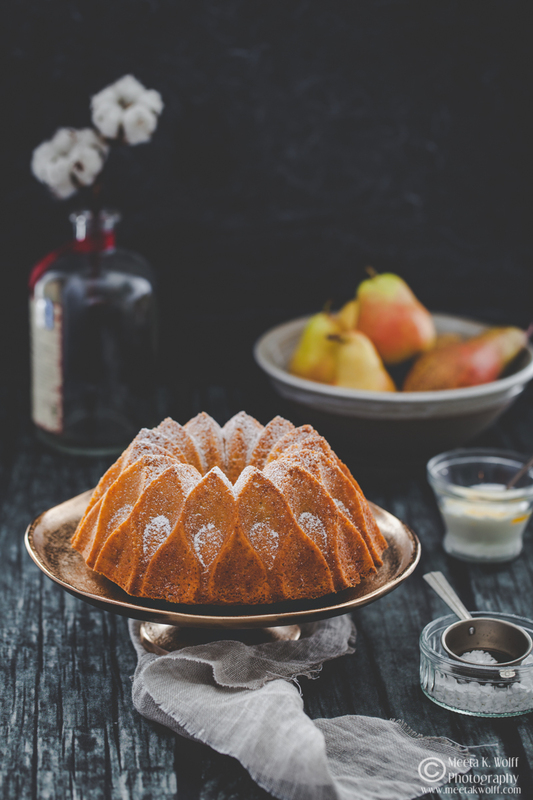 The article featured my Persimmon Spice Cake and shared a few details about my blog. When Mandira sent me the issue (along with a bottle of hot chili sauce and Hersey's chocolate) I was so ecstatic. I ripped open the magazine and did not stop paging till I found the article. I felt a surge of pride and beamed from ear to ear. Fame does that you know? LOL! Another lovely and dear blogger friend of mine, Pille, sent me a wonderful little parcel recently. 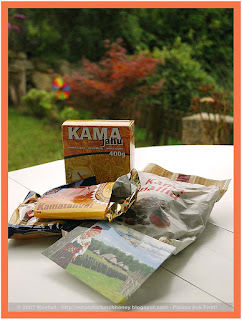 In one of her posts I had shown my curiosity about Kama and it did not take long - Pille wrote to me and asked if I would like a little Kama package to try out. Well here it is! Of course I tried the chocolate first, called kamatahvel. The taste is not so sweet as most chocolates I am familiar with. It was delicious and Tom particularly enjoyed it. Yes! It's all gone. The next thing we are going to try is the kama cereal and I have been making up a few desserts in my head with the Kama flour. Can't wait to share these with you! Then this week Amanda touched my heart by awarding me not one but two blogging awards! Do I deserve this? Blogging to me started early last year and has become such a wonderful part of my life that I would hate to be without it. Through blogging I have met so many wonderful people, made a few friends, joined an awesome group, made a few more friends, improved my photography skills, found a passion for baking and made many more friends. 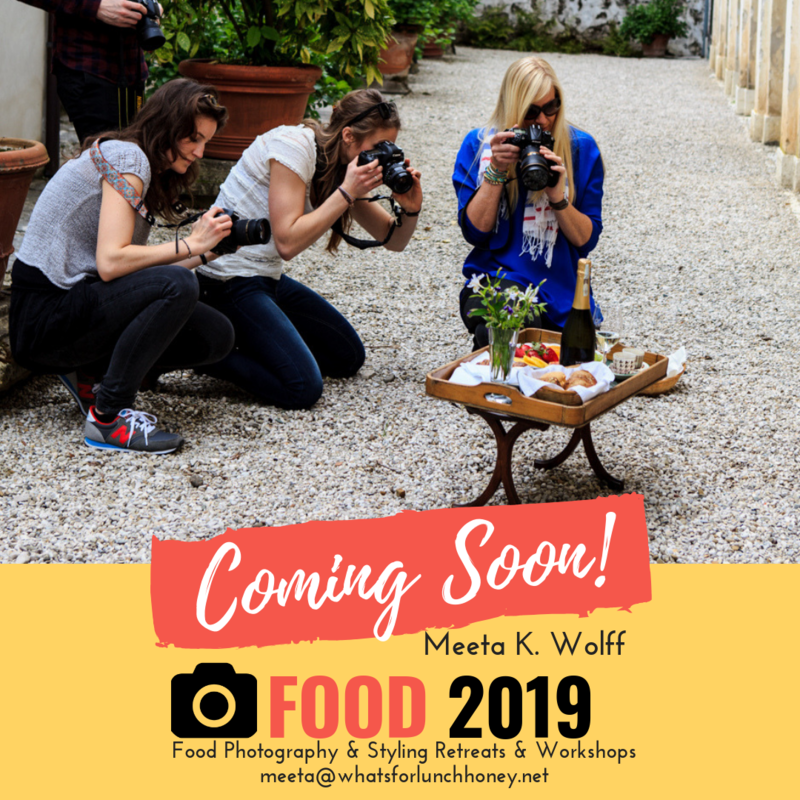 It's a great life in the Food Blog world! I'd love to pass these awards to almost all of the people I have met on the Blogesphere, but I think I'd be breaking the rules. So, I've picked out a few bloggers to award these to, as I think they especially deserve them. I thank you Amanda for this lovely gesture. Hey U deserve all these accolades and it was an honour to read those amazing write ups about u.
Congrats Meeta...you deserve them all....great work...have always enjoyed reading your post and of course your photography....you know I almost thought of asking you to host one puzzle game atleast once 15 days so that I can win my favorite photo of yours....and pls pls make it easy for me to win...LOL! Congratulations! Your article and awards are very well deserved. You deserve your awards - you and your blog are very inspiring! Lovely to see your name in print dearie! You deserve every bit of that fame and ofcourse the sweet blogger awards! Hi Meeta, I just read your last two posts and enjoyed them thoroughly. Congratulations to you on both the awards. I am just so glad that I know someone like you. I think that says it all ,doesn't it? Well deserved, you should smile ear to ear Meeta! and you should enjoy it. Well done for sure. I had read the online version of this and was proud to share a place with someone like you too. 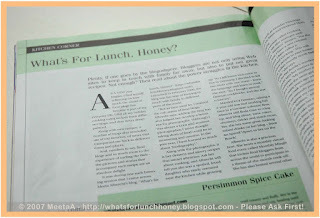 Thanks to Mandira too and I think she has covered more Food Bloggies in this section of hers. Indira & Archana were covered I know. Don't know who else. congralutations, meeta. you deserve all the awards and accolades you get. you are a very speical person, and it reflects in your blog. we're honoured to be nominated by you, though we aren't as interactive or patient as you are with our readers and other bloggers. it's great to know that mandira has been contributing to the print media. contgrats, Meeta. You are doing a great job! Congrats hon, you deserve it all and more. 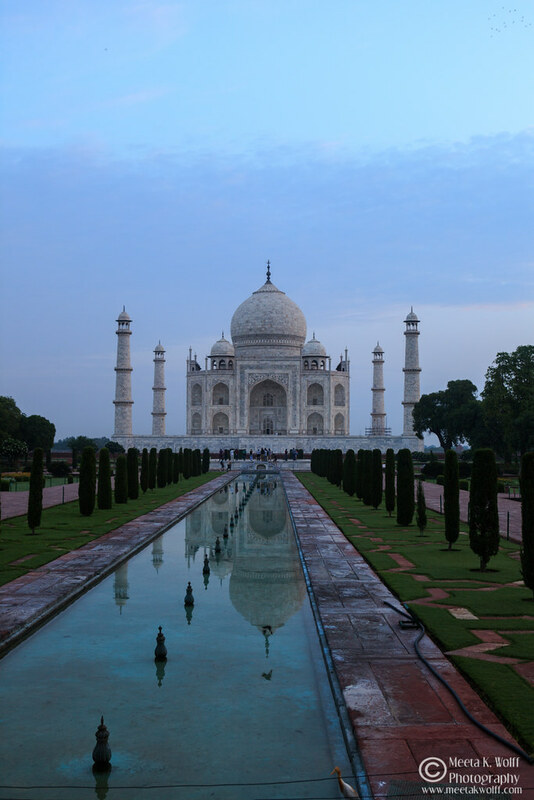 Hi Meeta, I have been a silent reader of your blog and admirer of your photographs for a while now, so wanted to stop by and say Congratulations to you, for all the praise. Keep up your excellent work. I will be popping up as always, hopefully more often. Meeta, congratulations, girl! I'm so thrilled about the New Yorker - that is a great piece of fame. As are the other awards from the blogging community. Well deserved all. Your pictures are sooo beautiful! And I am happy to be nominated in such august company! Congrats on the article and the awards. Aww schucks ladies. Thanks for all your touching comments. It really motivates. Wish I could hug you all!! well done meeta, as everyone says, it's all well-deserved praise and recognition! congrats Meeta! ur blog is a pleasure to see and read. My dear Meeta. If there is anyone who deserves such honors and treats, it's you. Congrats on the write-up, and you definitely have earned those badges! YOur posts always leave me with a smile. Meeta, congrats dear...fully deserving awards and nice space here! Wow! Such a bounty of lovely things! That article is very cool, and I fully agree with Amanda's good wisdom in tapping you for those two blogger awards. Congrats!!! Plus, thank you so much for nominating me--I'm honored to be in such excellent company! COngratulations Meeta. The blogosphere has rewarded me with so many deep frienships, packages and knowledge that I sometimes feel overwhelmed with gratitute. Thanks for the awards, bt right back at you girlie! First of all, congrats to you! Your blog is wonderful, your writing and photography are amazing. I appreciate you always taking the time to comment on my blog and I sincerely appreciate the awards! I am honored! Meeta, I totally missed the post. 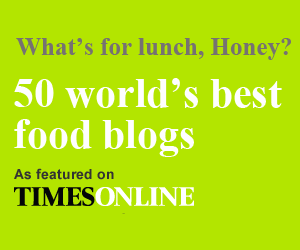 It was fun to feature you and all the other bloggers in the foodie section. You deserve all the awards and more... Keep up your good work. Hugs. Congratulations Meeta, you deserve this, what a wonderful job you are doing my dear. Hats off!!. I love all your posts and the efforts you put into each and every post, just mind blowing. I wonder how can you do so many things at the same time. kudos my friend. The best part about your food post is the mind blowing pictures. I simply love your photography. Well deserved. Enjoy the fame and award and don't forget me. Heheheheh!!!! Ladies, you are all the amazing ones here. There are so many of you who brighten my day and I look forward to each and every comment you leave behind. If it was not for your friendship and affection it would be half the fun for me.